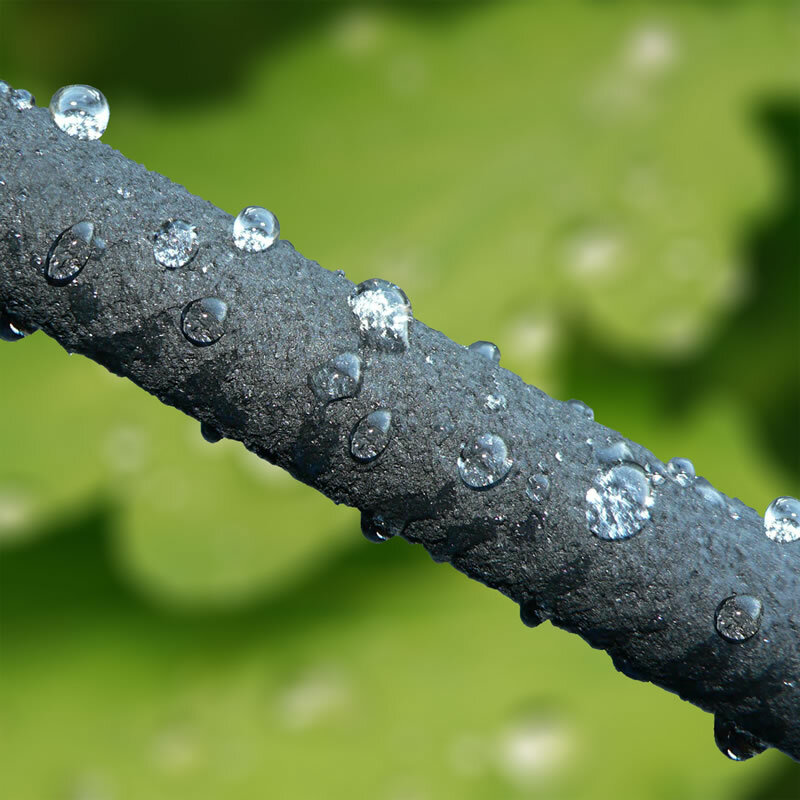 With soaker hose, water is released directly to the roots and will not evaporate, resulting in fewer waterings. It can be used in any garden, whatever the size. The system will still work on sloping areas and can be cut to size. Water permeation, depending on soil type is approximately 50cm either side of pipe. By using 16mm pipe fittings, an endless combination of waterings can be achieved. T's for multiple runs, ball valves for areas not in use, etc. Three roll sizes available. Works extremely well giving good coverage at a gentle rate. Requires mains water supply pressure so not suitable for gravity fed rain barrel systems. May be buried below mulch or the soil surface to reduce loss through evaporation. Use a straight barb connector to join between garden hose and soaker hose as a good leak-proof connection cannot be made using the standard screw tightened hose connectors.